Just bought an 03 hawk, but it's got quite a few vertical scratches on the gas tank, just above the seat. Looks like somebody's jacket has been gnawing on the tank. I'd like to cover them up with a tank protector pad but when browsing an internet for them I noticed most don't have any demensions listed. So I need to know, from those who have them, what sizes are available. I need something at least 3.5" wide at the bottom where it meets the seat to cover properly. Pictures, ideas and input all greatly appreciated. I have an all leather tank bra for that reason..look at my pics and you will see. It was made by lp lockhart Phillips co. Welcome to the forum jester. Last edited by insulinboy; 10-16-2013 at 06:22 PM. LOL, I kinda think it will help answer his question. The link was to get to the post w/ the pic, not show him how to remove anything. If you would have clicked it you would see that it goes directly to my photo. Seeing my tank pad may just be enough to help him decide if one will be big enough to cover said scratches. Yes that did help, Wolverine, thanks. The few scratches I have are further apart than what that is able to cover. As an update, I was able to find, after many emails, that Progrip makes a large tank pad. Demensions are 11" tall x 6.5" wide, which should cover most if not all the damage. I wasn't too keen on the half tank cover, to each his own I guess. When it gets here, I will try an post up a before and after; although it's tough to take a picture of a reflective gas tank. I will also post up pictures in user rides as undertail, flush mounts and other lookie-good bits are delivered. Thanks for, the help and input! Look forward to becoming more involved in this forum. I finally got a picture of the culprits! Wow, those are pretty serious. I'd use some touch-up paint before the protector. colorrite paint code PB215C. Yep, otherwise it'll rust. Thanks for the paint code too. This is what I use on mine. I would maybe vinyl wrap the entire tank. Carbon Fiber? That'll help also protect the rest of it in the case you keep scratching sh*t up. If you also need some additional storage, you can use a tank bag to kinda minimize the amount of scratches on your tank.. 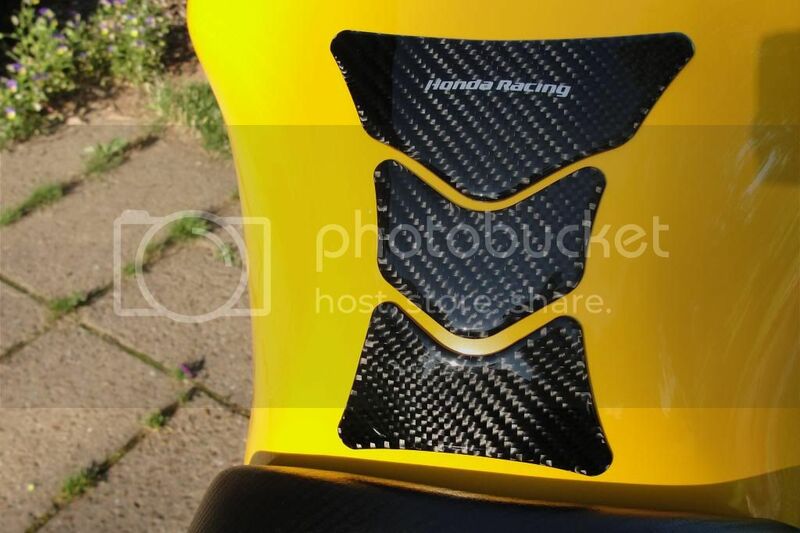 Check this out http://www.motorcyclehouse.com/Motorcycle-Tank-Bags.htm . 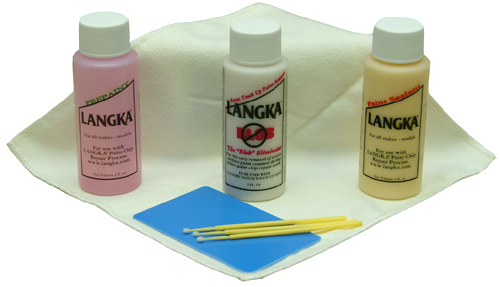 Had the same problem lately, I was thinking of getting of a touch up paint, but a friend of mine suggested me to use Langka touch up paint system w/c could be bought online like with autogeek. I must say it works great and will hardly notice the paint chipped or deep scratches. Just make sure to buff it out.